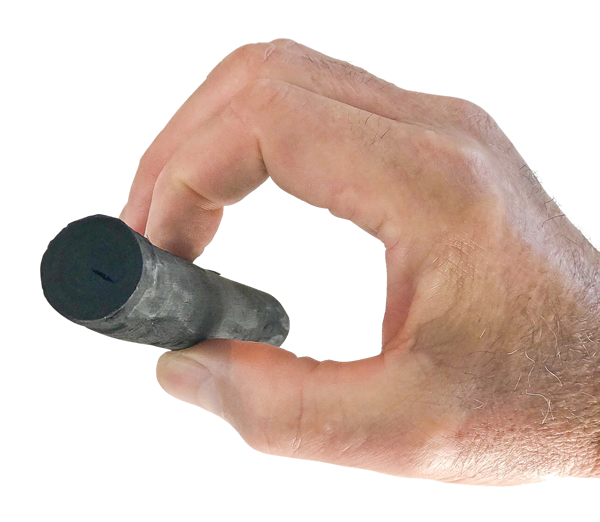 Unlike regular black charcoal, Binchotan charcoal will burn for three to five hours. It can be extinguished and reignited two or three times. It burns with constant heat that seals in natural flavors. 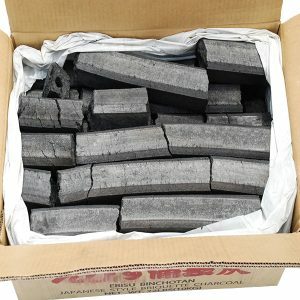 Binchotan charcoal is the purest charcoal on earth. It is also known as white charcoal. 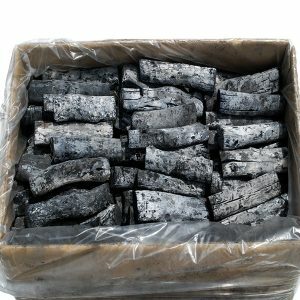 Prized by chefs around the world, Binchotan charcoal is pure high carbon charcoal made from oak. Because of high carbon content it is completely odorless. Cooking with it brings out the natural flavors of the food. To recognize Binchotan charcoal, tap two sticks of it together. You should hear a light metallic sound due to its ultra high carbon content. Charcoal makers in the Kishu province of Wakayama in Japan have traditionally made Binchotan charcoal for over 300 years. 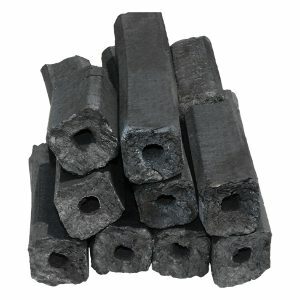 Kishu Binchotan charcoal resembles a black wooden stick. Binchotan is made from Japanese Holm oak, which grows on the forested hills of the Kii peninsula. 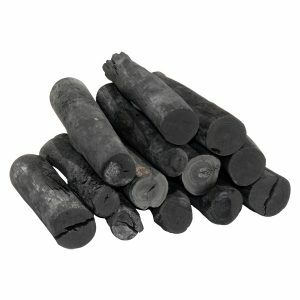 This kind of hardwood charcoal has been cultivated and used in Japan since the Edo period. Binchotan charcoal is made by slow-burning oak wood until it carbonizes. After it has charred it becomes charcoal that can be used for a variety of things. To make Binchotan oak branches are stacked inside kilns and baked at ultra-high temperatures for several weeks. The artisan controls the supply of oxygen, first shutting it off and then slowly increasing it. This process, first developed over 300 hundred years ago, turns wood into carbon. 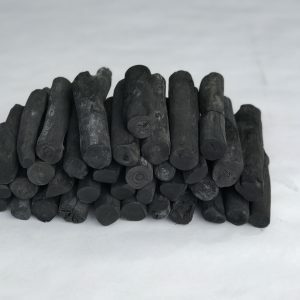 Binchotan charcoal has the highest content of carbon of any charcoal, up to 98 percent. Binchotan is Japan’s answer to charcoal. It lasts incredibly long. You’re looking at a fire that will last for up to five hours. It burns at extremely high temperatures, ensuring quick sears for meat and fish. Binchotan burns without smoke due to its purity. Binchotan burns cleanly and without flames. Food grilled over binchotan retains its natural flavour and moisture. It never smells burnt. The benefits of using binchotan for grilling go beyond the obvious. Binchotan burns cleanly with a high steady heat and the alkalised ashes are said to neutralise protein acids and other undesirable acidic products during cooking. Binchotan is not just for Japanese home cooks. High-end restaurants use it for grilling. The best yakitori restaurants use binchotan as fuel. Lower-end restaurants do not, resorting to gas flames or cheaper charcoal, due to the high price of binchotan. For more information click here. 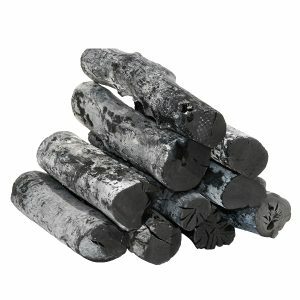 Binchotan Charcoal At Wildwood – Available Now!